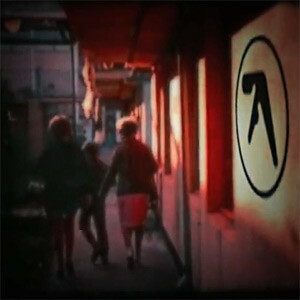 Aphex Twin fan boys and girls were all aflutter today when they discovered UK promo agency Hyponik had posted a music video snippet on their website titled AFX Seaside Specials from Aphex Twin in a marketing effort to procure email addresses from parties interested in downloading the .mov file. Though the video features the same type of visuals Aphex Twin has been using for recent live gigs (a face-detection technology that virtually pastes his infamous evil grin over the visages of random people on screen), the soundtrack to this video is a drum 'n' bass track called "Vase" by an artist named dgoHn. The track was released November 14th, 2005 via netlabel Exegene Records as part of an EP and is available as a Free Download HERE. For those of you not yet familiar with dgoHn's work, he has also released music on Aphex Twin's Rephlex record label. Much like with the recent Boards of Canada - Chameleon incident, perceptive fans were instantly skeptical about the music's origins as it goes in a much different direction stylistically than the latest AFX output. But why not use actual AFX music in the promo? Was it to intentionally confuse and excite the masses, or was the MP3 labeled wrong? Perhaps the tune was chosen simply because it was a good fit for the teaser, and no one took into consideration that the AFX-starved public would instantly assume it was an announcement of new material. In any case, the unexplained date of "12 March 2011" at the end of the clip is likely a hint that Aphex Twin will be performing at Bloc Weekend festival, which takes place March 11-13, 2011.